The Vocational Training Authority of Sri Lanka (VTA) was established on 16th August 1995 under the Act No.12 of 1995. The VTA was established with the intent providing skills for employment. 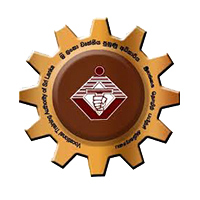 Manpower Division, the training arm of Labor Department that was running as Technical and Vocational Education and training programs in many parts of Sri Lanka, was converted to the newly constitute Vocational Training Authority making vocational training more accessible to rural youth and depressed segments of the country. The key intention of establishing the VTA was to reach the rural mass of the country which was 72% of the total population and make them to be skillful to find employment locally and internationally. The Vocational Training Authority of Sri Lanka (VTA) is a public-sector training organization coming under the purview of the ministry. VTA has the largest island-wide training network which consists of 22 District Vocational Training Centers (DVTC), 7 National Vocational Training Institutes (NVTI) and 215 Vocational Training Centres (VTC).